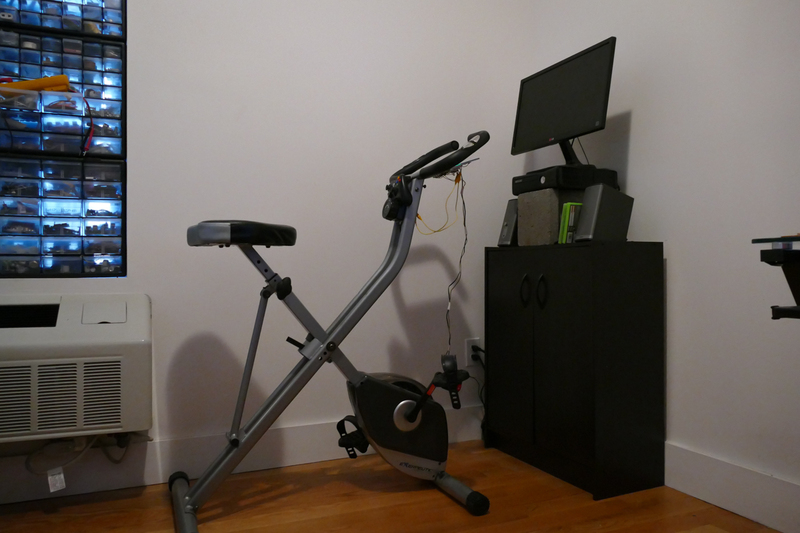 A simple hack I created to help me get in shape. 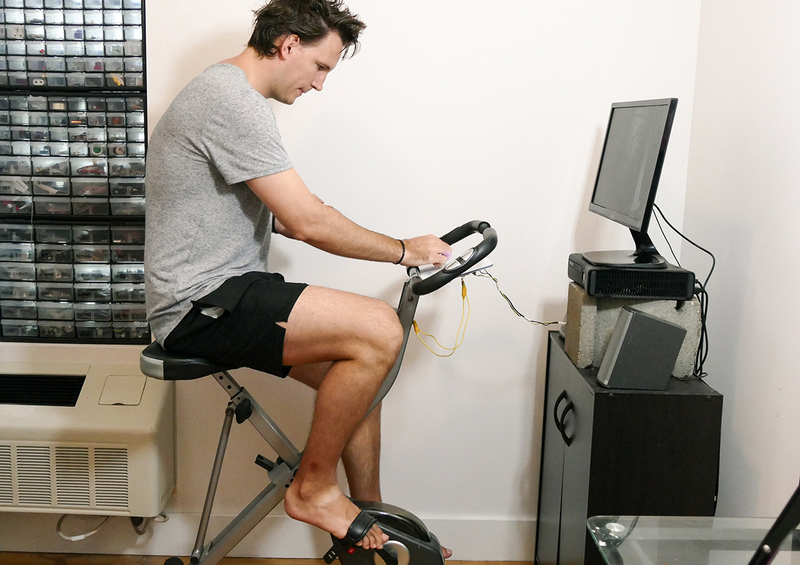 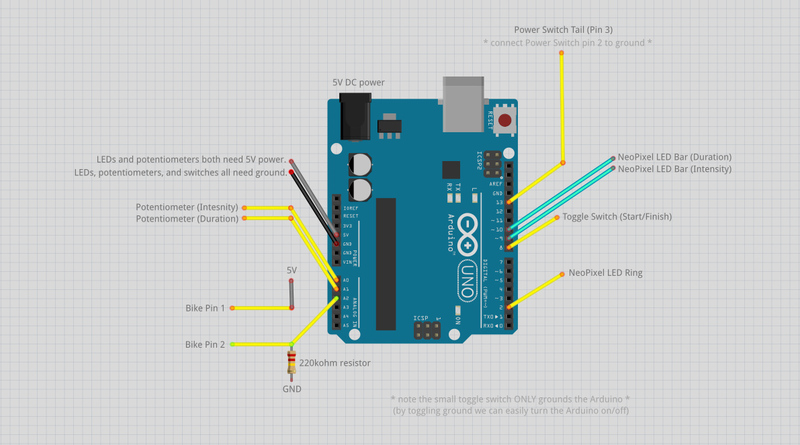 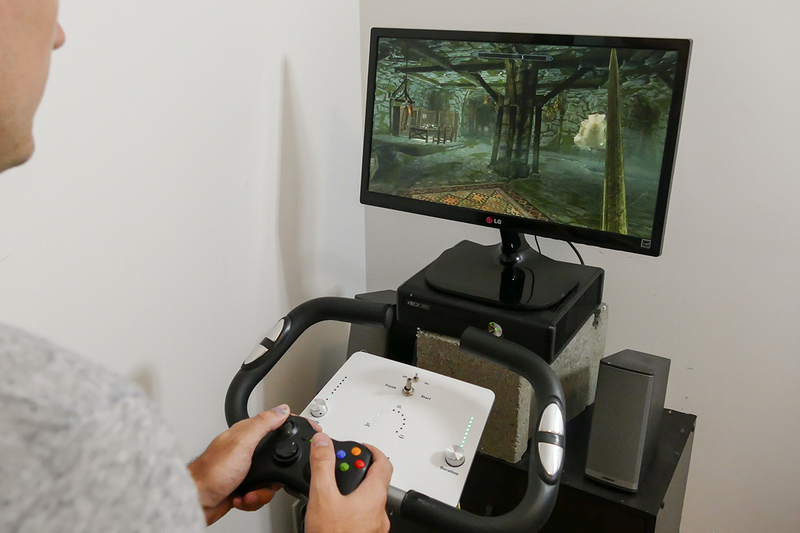 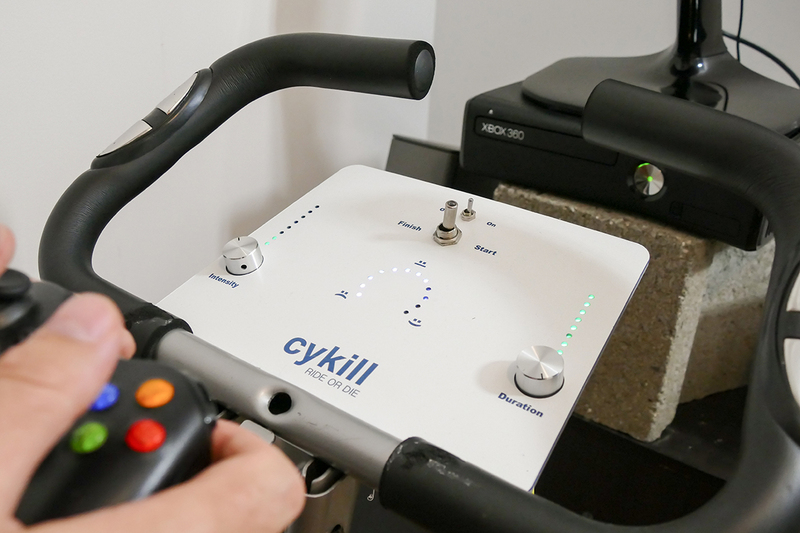 The only way the gaming console will power on, is if you pedal the bike. 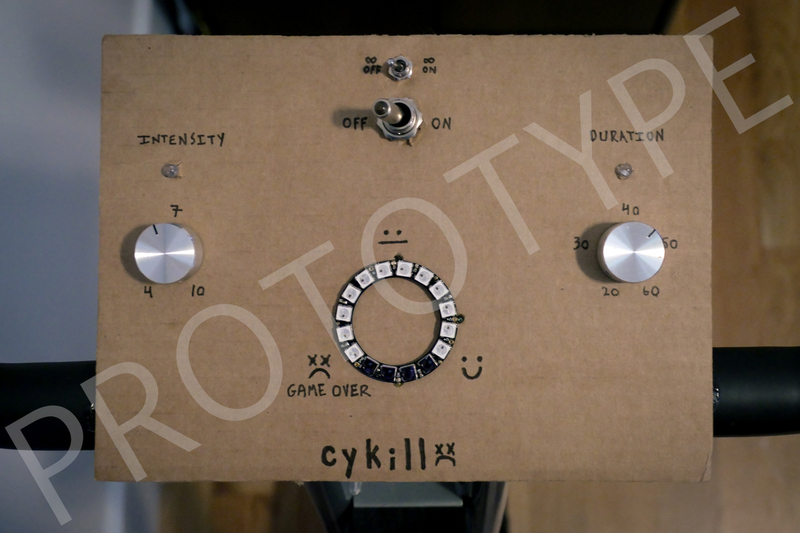 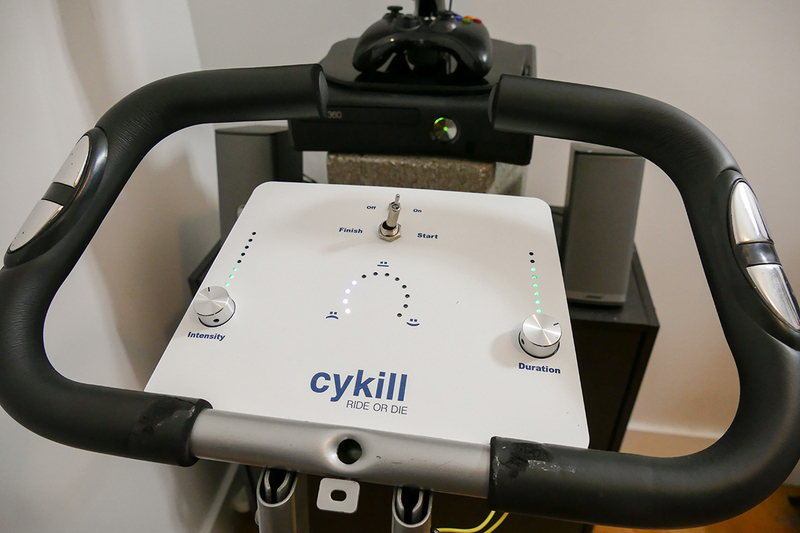 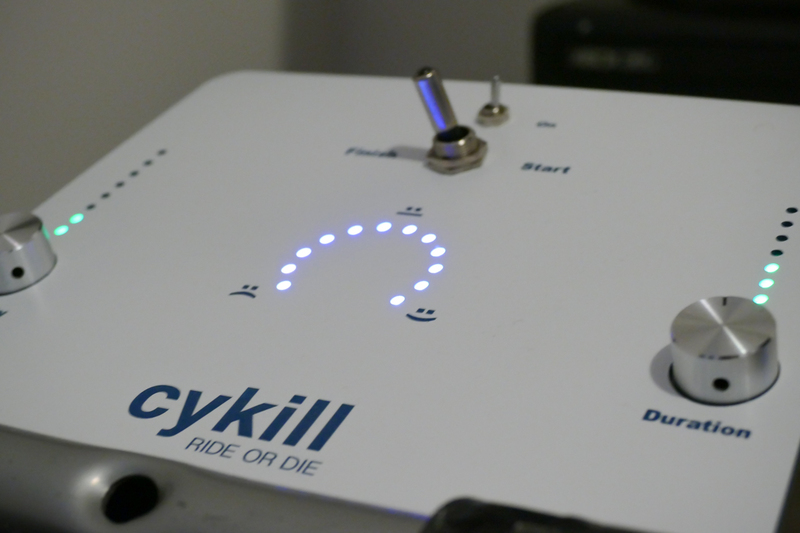 Fail to pedal fast enough and Cykill will kill the power to your console. 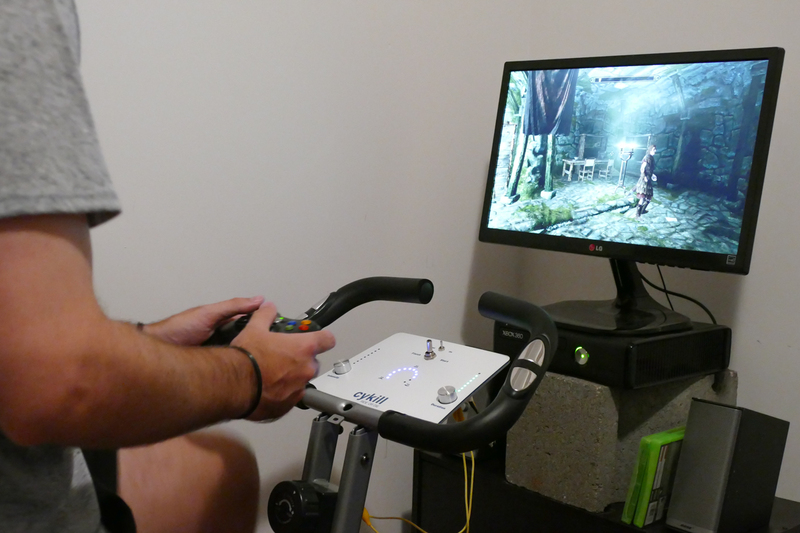 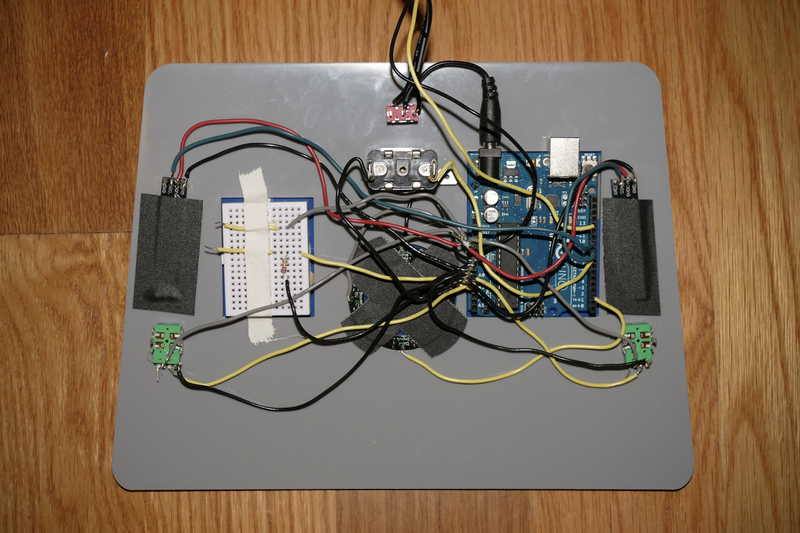 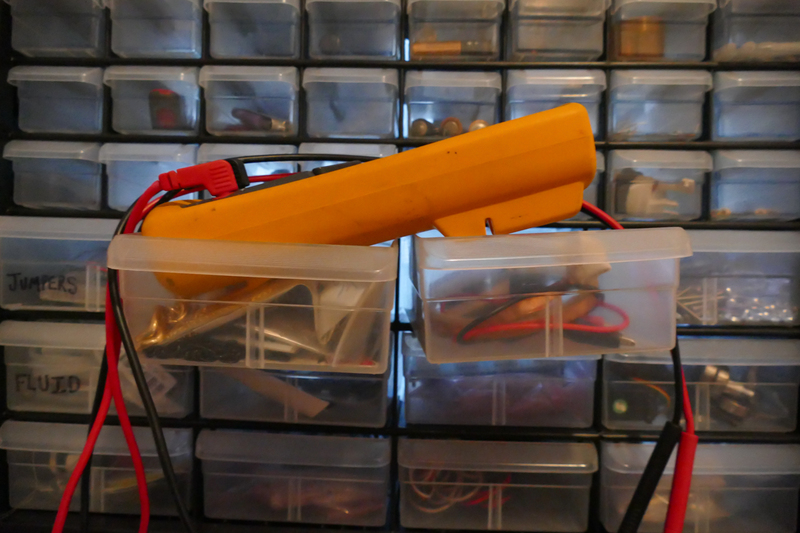 ☢ Possibilities of hard drive corruption ☢ Which should be enough motivation to keep you pedaling. 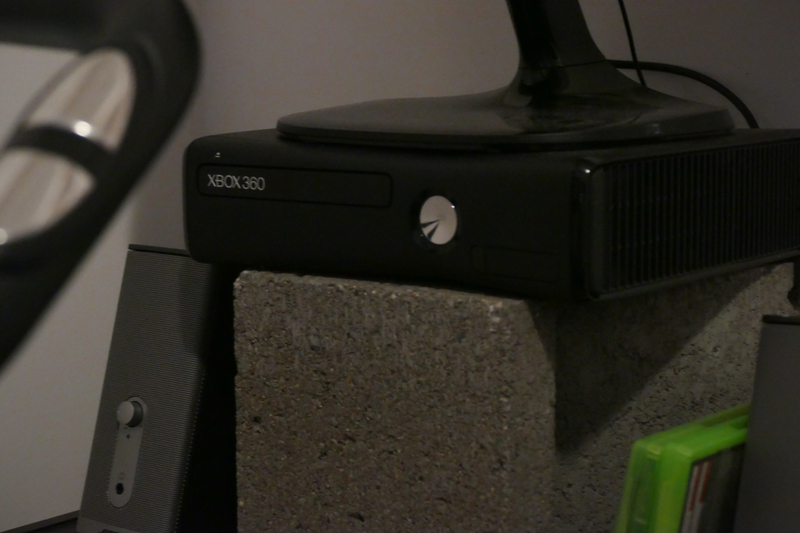 (But don't worry, if you are concerned about damaging your console's hard drive you can do the exact same hack to the tv/monitor instead).